SEBASTIAN – A man throws a chair at a county vehicle after stopping at a Sebastian residence to turn off the water for non-payment. The incident happened yesterday at around 8:30 a.m. when a county employee from the water department arrived at the home. Anthony Nathaniel Bryant, 28, confronted the worker and demanded him to wait before shutting off the water. However, Bryant was told that turning off the water could not wait due to policy. After turning off the water to the house, the worker walked back to the county truck when Bryant threw a brown wooden chair, causing damage to the vehicle, according to police. The county worker called the Sebastian Police Department. As officers arrived at the location, a woman entered a red Nissan with two young children. The woman said she was Bryant’s girlfriend and that he was not at home. Bryant said he was on the phone with the utility company attempting to find a way to pay the $38.94 owed before his water was turned off. Once turned off, the past due amount would increase to $200.33. When the worker turned off the water, Bryant became irate and threw the chair in the direction of the county vehicle. The total value of the damage to the vehicle was estimated at $100. 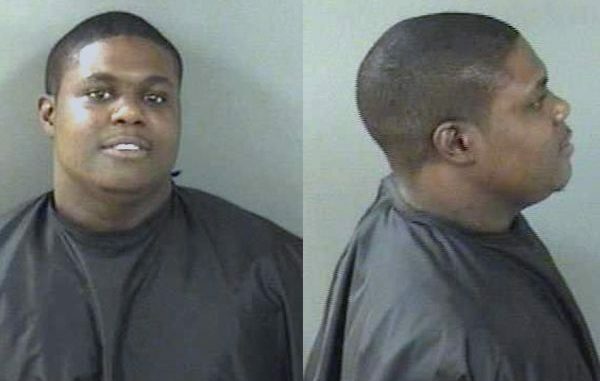 Bryant was arrested and transported to the Indian River County Jail where he was charged with Criminal Mischief.